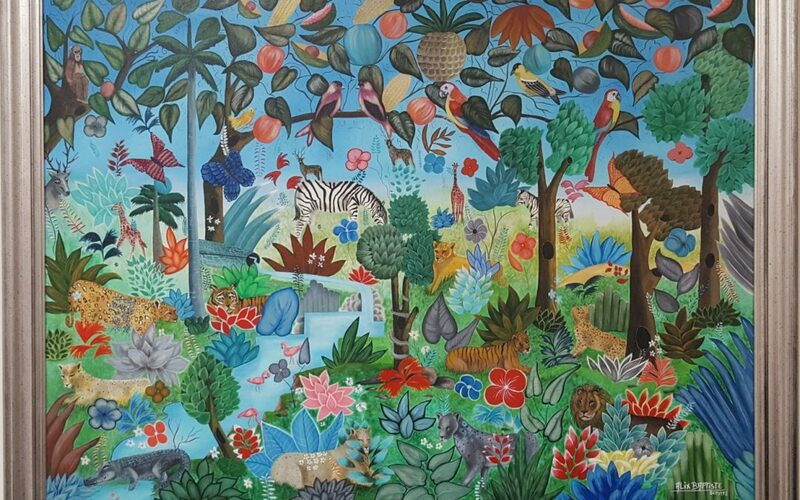 “Garden of Eden” is one of the best paintings ever painted by Alix Baptiste. 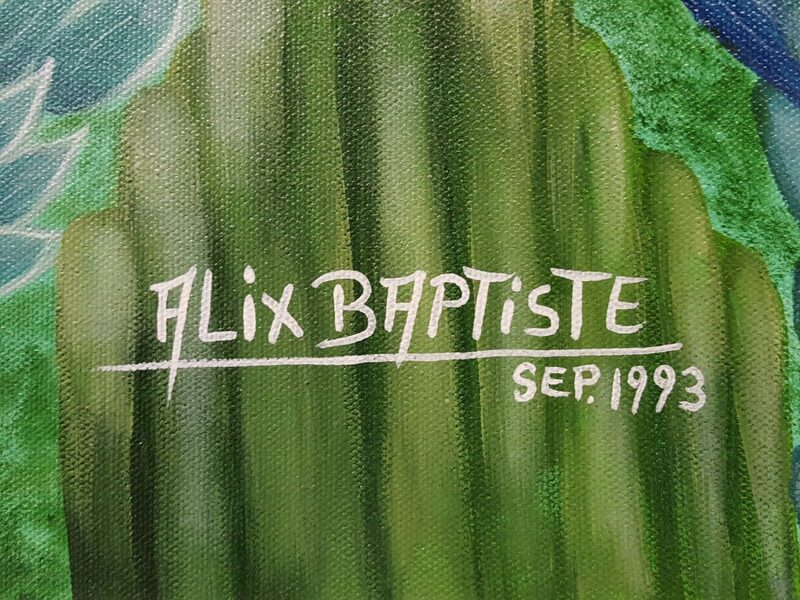 Originally painted in 1993, this painting shows off Alix’s immense talent with attention to detail and wonderful colors which draws the viewer in. 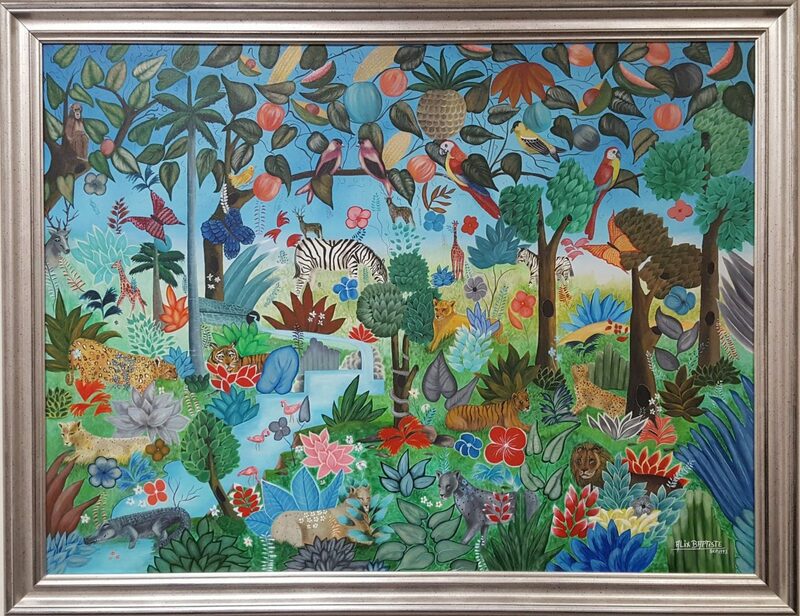 This wonderful painting is 62″ x 48″ with a 3 1/2″ frame and is available for $45,000. Alix Baptiste is originally from Haiti, where he grew up one of nine siblings. At the age of twenty-one, he left Haiti and joined his father and stepmother in Savannah, Georgia. With the encouragement and support for his stepmother, Baptiste began painting as a street artist. He became very successful as a street artist, and his fans encouraged him to move to Savannah’s City Market. Baptiste can still be found painting in the storefront window of his gallery in City Market. 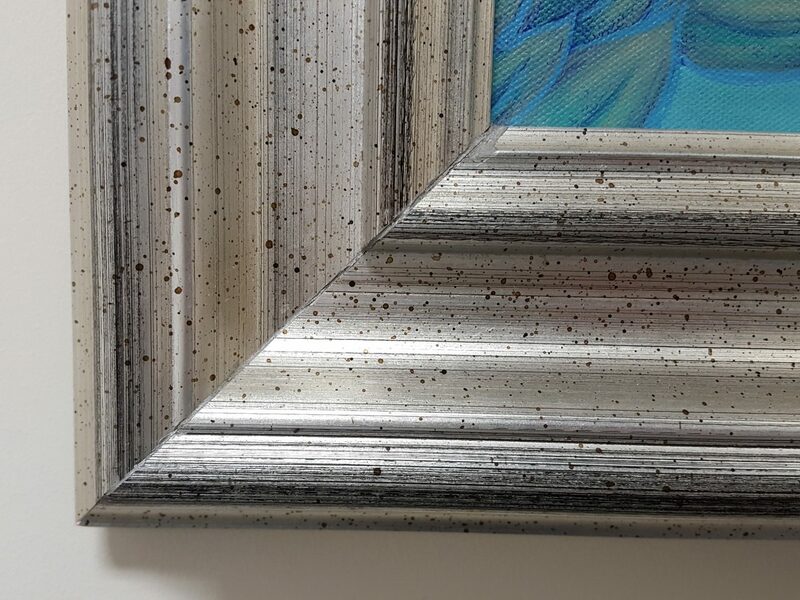 Baptiste’s work is colorful and reminiscent of both his Caribbean upbringing and to some, the coastal region he has called home for the last several decades. 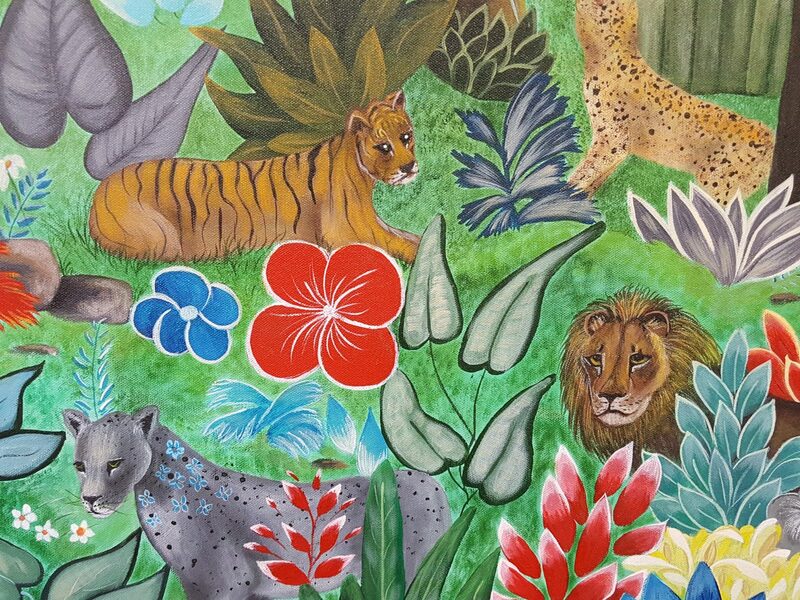 Working primarily in acrylics, a common theme in his work includes nature scenes of his native Caribbean.